Organizational behavior, eighth edition", continues in its tradition of being an up-to-date, relevant and user-driven textbook. 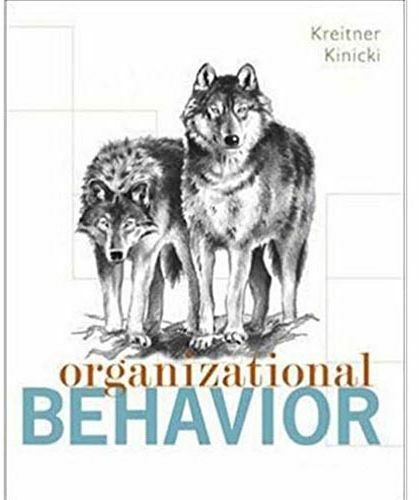 Kreitner and kinicki's approach to organizational behavior is based on the authors' belief that reading a comprehensive textbook is hard work, but that the process should be interesting and sometimes fun. Thus, they consistently attempt to find a way to make complex ideas understandable through clear and concise explanations, contemporary examples, a visually appealing photo/art program, and/or learning exercises.